Pump & Valve were asked to look at an application pumping hot leachate from a major landfill site out of a reactor. The application was challenging as the leachate was hot (80°C plus) and as the leachate was from a landfill the chemical composition changed by the month, week, day and hour! The existing peristaltic pumps were failing as the rubber hoses could not cope with the wide variation in chemicals that they came into contact with and the 80°C temperature didn’t help either. Hoses were failing between 1 week and 6 months. 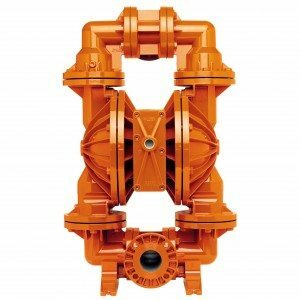 Pump & Valve sold an air operated diaphragm pump with a stainless steel body and Teflon elastomers. The stainless steel easily handled the aggressive 80°C leachate along with the changing leachate composition and the Teflon diaphragms – being inert to pretty much every chemical there is – have been ideal. The pumps have proved to be vastly superior to the old pumps and mean time between failures has been improved dramatically.